Dr. Severns’ general dentistry services for all ages include check-ups, teeth cleaning, preventative care, x-rays, and restorative services like fillings, root canals, crowns, implants, extractions, dentures, and partial dentures. While brushing and flossing are a very important part of good oral health, patients should also visit Severns Dentistry every six months as a part of a regular preventative care routine. 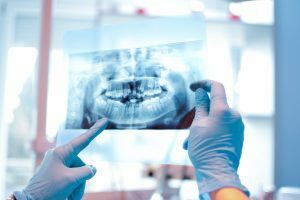 A professional cleaning, x-rays, and a complete exam will help to keep your teeth clean, and also will help detect any issues, such as gum disease, cavities, or decay. Severns Dentistry welcomes people of all ages. We enjoy creating life-long relationships with our patients. Severns Dentistry and Orthodontics has convenient general dental care for every member of your family. Our staff is friendly, efficient, and gentle. As a comprehensive dental service, we offer family dental care and cosmetic dentistry. Plus, if you or your children need orthodontic care, including metal braces, clear braces, or Invisalign®, we also provide these services right in our office. Your smile is one of the things that people notice first, and Severns Dental loves to help you and your family keep your teeth bright and healthy.